How can I make my retirement income last as long as I live? It’s a question financial advisors hear more and more as Baby Boomers come of retirement age. To provide a sufficient response, however, advisors must know how to guide current and future retirees through a maze of sometimes contradictory information. They need to understand the challenges of managing income so it lasts over an indefinite length of time and expense. They must be able to tailor their advice to the unique circumstances of each individual. 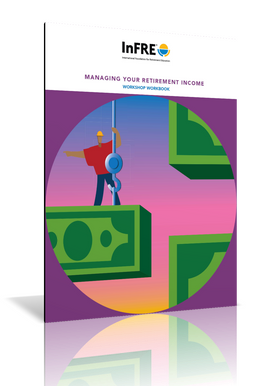 The Managing Retirement Income Course Series helps meet these needs by bringing expert knowledge and sound planning techniques to financial service professionals who want to develop a mastery of the income management segment of the retirement market. Who should take InFRE’s MRI courses? 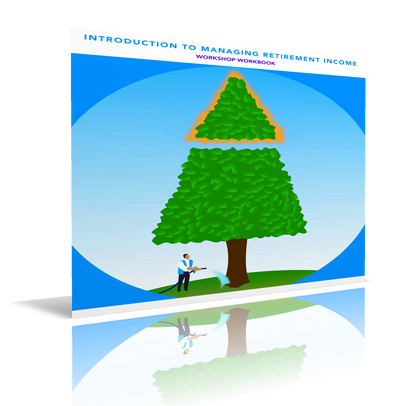 The MRI courses are designed to benefit all financial professionals, including registered representatives, insurance professionals, financial planners, CPAs, and retirement advisors with a basic understanding of retirement planning and investment principles who want to increase their knowledge about risks and other issues relating to retirement income planning, and who want to learn a process for helping retirees convert retirement assets into lifetime income. There are 41 million people between the ages of 62 and 82 facing the challenge of managing their money so they can maintain a desired lifestyle throughout retirement. Longer life expectancy, rising health care costs, market fluctuation and inflation make this an increasingly difficult challenge for all but the wealthiest individuals. Managing retirement income is a complex task with no single solution or “one size fits all” strategy. 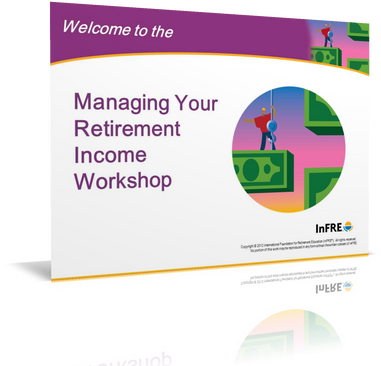 InFRE’s retirement income approach reflects this awareness by providing advisors with the tools to give client’s and prospects the options and decision-making guidelines to best meet their personal circumstances. This leading-edge material is available in various formats and course lengths to meet the professional development needs of a variety of individuals, ranging from support staff that just need familiarity with concepts, to retirement advisors who need in-depth training on how to create and implement retirement income strategies for clients. “Introduction to Managing Retirement Income” is a one-hour course that is perfect for support staff and advisors new to retirement income planning that can be delivered live by an InFRE instructor or licensed for delivery by your instructors. The four-hour, “Strategies for Managing Retirement Income” training course is designed for professionals who need to begin understanding how to create retirement income solutions for clients. Perfect for training home office staff or advisors who need to recommend suitable courses of actions for clients. Click here to download more information about the course or click here to view an introductory recorded presentation. This 60 minute workshop is a highly-relevant and practical educational marketing workshop for clients and prospects who want to know, “When and how should I take income from my retirement savings?” With longer life expectancies, rising health care costs, and fluctuating retirement savings values, generating a continuous income stream is an increasingly difficult challenge for all but the most well-prepared. Clients need to understand the challenges they will face before they retire in order to make informed decisions about when to retire and how to take distributions from their pension, defined contribution plans, IRAs and other personal retirement savings. Likewise, retirement advisors and counselors need an objective educational marketing workshop that teaches pre-retirees what they need to know to make a successful transition to retirement and manage their income so that they can productively and suitably help clients and prospects experience a retirement as beneficial and personally rewarding as they had hoped.This unique workshop includes a scripted PowerPoint presentation, 25 participant workbooks a recording of a workshop presentation and an evaluation form. To listen to a sample of the train-the-trainer presentation click here. To view a sample of the workshop PowerPoint presentation click here. To view a sample of the workshop workbook click here. Licensing Fees: First year licensing fee $695 includes 25 Workbooks. Subsequent annual licensing renewal fee $195. Additional workbooks $125 pkg/25 plus shipping. If you have any questions or need more information about this workshop contact Kirsten smith at 847-756-7350 ext. 135 or email. With the initial purchase of the workshop, you will receive a package of 25 workbooks. To order additional workbooks, click on the “Add to Cart” button below. Purchase three or more sets for $100 each.